Have you ever wondered what drives billionaires to continue making money? Well, it’s the same thing that makes Ford EcoBoost owners continue to strive for efficiency—and we don’t mean a quazi-Freudian desire to be loved. It really is just a simple desire to test the limits of something already great. Did you know the CEO of Microsoft drives a Ford Fusion? Maybe we’re not so different after all…. By now, you should know that the EcoBoost isn’t just a hippy conspiracy, but an incredibly economical engine with even more incredible power output. Now ol’ man Ford wasn’t one for stopping at “good enough.” If you’re reading this, chances are, neither are you. That’s why your friends at Team Ford compiled a list of ways for your to maximize the efficiency of your Ford EcoBoost. One of the biggest killers of your EcoBoost’s fuel economy is driving too fast. Let’s be honest, we’ve all clocked 117 km/h on cruise control because an uncle with a weird amount of tips for breaking the law told us “the man won’t stop you for ‘rippin a buck under 118.” Not to mention, we do also bring it up to 130 km/h if there’s someone leading the way to play rabbit with. Although these tactics shave a negligible amount of time off your journey (albeit while making driving way more fun), they certainly don’t do any favours for your fuel economy. As a rule of thumb, a paltry 104 km/h on highways is the best speed for optimizing fuel economy, so leave the Eagles CDs at home because you certainly won’t be in the fast lane. For better or for worse, there’s a little Alberta in all of us, and like a roughneck heading to Edmonton after their two week shift, we also sometimes drive aggressively. Unfortunately, few things make your Ford EcoBoost thirstier than excessive braking and accelerating. In the city, try to predict the traffic and light patterns on the road ahead to reduce the need for quick reactions. That means maintaining lengthly following distances, not speeding up to catch yellows, and no sketchy turns or merges. Do we have to mention tailgating? Every bit of extra weight in your vehicle equates to more work that your EcoBoost will have to pull. Are there tools in the bed of your F-150 that you’ve been meaning to take out? What about those camping supplies that have been molding in the trunk since May Long Weekend? Every bit of weight you remove pays dividends over time to your Ecoboost’s fuel economy. For an extra challenge, choose your least favorite friends and tell them to catch a cab instead!  Team Ford maintains one of Edmonton’s largest inventories of new and pre-owned vehicles, with a wide range of powertrains including the revolutionary EcoBoost engine. View our online inventory from home, or give us a call to find out about any of our models. To see a Ford vehicle in person, drive slowly, predictively, and as close to 104 km/h as possible to Edmonton’s Team Ford dealership.